This little USB unit acts as an external soundcard for computer. It's equipped with two sets of stereo RCA jacks - one input, one output. Easily connect your headphones with the 3.5mm jack. 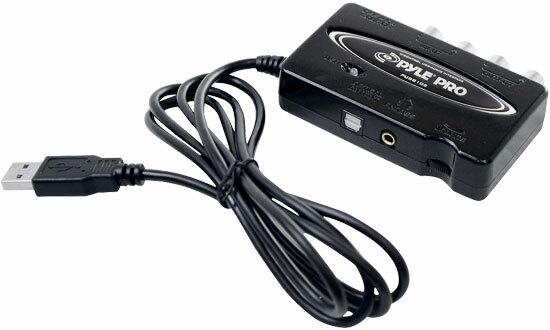 Or, get full digital audio with the optical output jack. Volume control is right on the front of the unit. No drivers required - just plug into your Mac or PC and hit play!